Recently, my wife and I celebrated our 23rd wedding anniversary. Every year we look at our photo album together and chuckle about how young everybody was. It’s amazing how fast time goes! As I continued to page through the album, I was struck by sudden panic. Someday we may be planning and paying for our daughters’ weddings. Today in the U.S., the average wedding costs $33,391. Keep in mind, the location of the wedding can affect the cost. Couples getting married in big cities may spend more and some destination weddings can cost less. When should it be purchased? How do you choose a reputable insurance company? Here’s some information that may help you determine if wedding insurance is right for you. What is wedding insurance? Wedding insurance is a type of special event insurance with a one-time payment. Like other types of insurance, wedding insurance protects you from things you can’t control. Occasionally, you may read or hear a story about a local couple whose reception hall goes out of business or burns down weeks or days before their big day. Wedding insurance can provide protection against this unfortunate situation by providing reimbursement for the couple’s loss. Two types of policies to consider are liability and cancellation insurance. Bodily injury or property damage caused by a vendor or guest. How much does it cost? 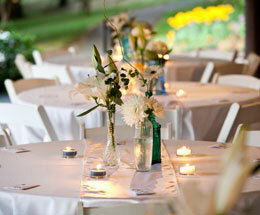 Planning a wedding can be time consuming, stressful, and extremely expensive. However, buying insurance may be a reasonable way to put your mind at ease. A basic policy can range from $155-$550. Remember, this is a one-time payment and the cost will depend on what coverage you select. When should it be purchased? For event cancellation insurance, I recommend purchasing it before you start making deposits to your vendors. If they go out of business or don’t meet the terms of the contract, your deposits will be lost without coverage. Liability insurance can be purchased closer to the event. However, it may be easier to purchase both at the same time. Venues such as hotels or reception halls may require liability insurance at the time of contract signing. While West Bend doesn’t offer wedding insurance, your independent insurance agent should be able to find coverage.